GirlTrek are a public health nonprofit for African-American women and girls in the United States. They encourage women to use walking as a practical first step to inspire healthy living, families, and communities. As women organize walking teams, they mobilize community members to support monthly advocacy efforts and lead a civil rights-inspired health movement. We recently spoke to Onika Jervis from GirlTrek to learn more about their initiative. 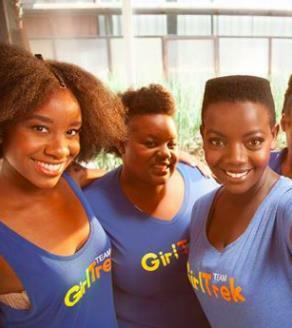 GirlTrek figured out a healthy way forward by organizing group walks within city communities. The walks are in public spaces, so GirlTrek reaches many other people with its infectious and positive message. You can read more about the initiative, get help and tips to get walking and share how you are getting moving, on the Start Moving Knee Pain community on HealthUnlocked. By Rolf Taylor, VP Partnerships at HealthUnlocked.